Juan B. Alcala M. serves as Principal and Director of Design of R.J. Heisenbottle Architects, PA with over three decades of expertise in architecture and design of complex projects ranging from academic and educational facilities, performing arts, historic preservation, housing and industrial, hospitality, leisure and retail, office and commercial. April 2017 marks Juan’s 20 year anniversary at R.J. Heisenbottle Architects where he has lead the firm with his passion for innovative design and reverence for historic places. Juan has received a Bachelor of Architecture from the University of Oklahoma and started his professional career in Dallas, TX before moving to Miami, Florida. 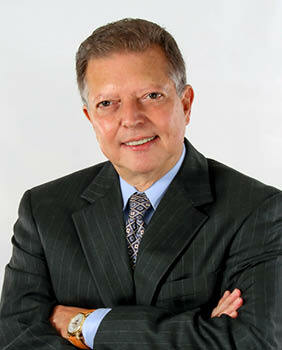 Over the years he has been the lead designer or directly involved with the numerous award-winning historic restoration projects at R.J. Heisenbottle Architects including the Colony Theater, City of Miami City Hall, Freedom Tower, Vizcaya Museum and Gardens Café and Shop and East and West Gate Lodges, Miami Edison Middle School, University of Miami Historic Administration Building, Vanderbilt Mansion, Vizcaya Museum and Gardens, Olympia Theater (formerly Gusman Center for the Performing Arts) and Sears Tower, just to name a few.